PIXELS ACADEMY :: VFX | ANIMATION | GAMING :: Blog | Explore your imagination! 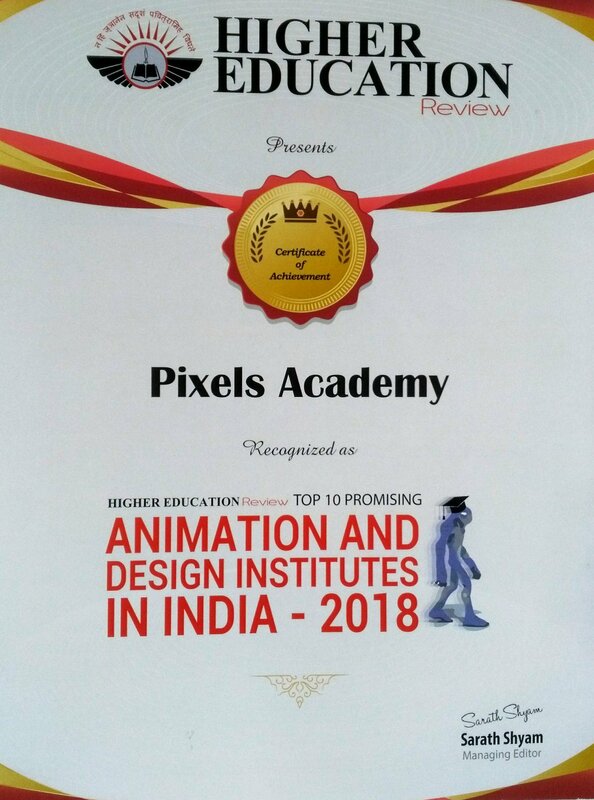 We thank entire team at PIXELS team in India & USA for the continuous efforts to bring the best for the students in animation education. We thank all the students & Parents who been with PIXELS journey. Thank you all! This entry was posted in animation, gaming, News, training, VFX on August 24, 2018 by admin. 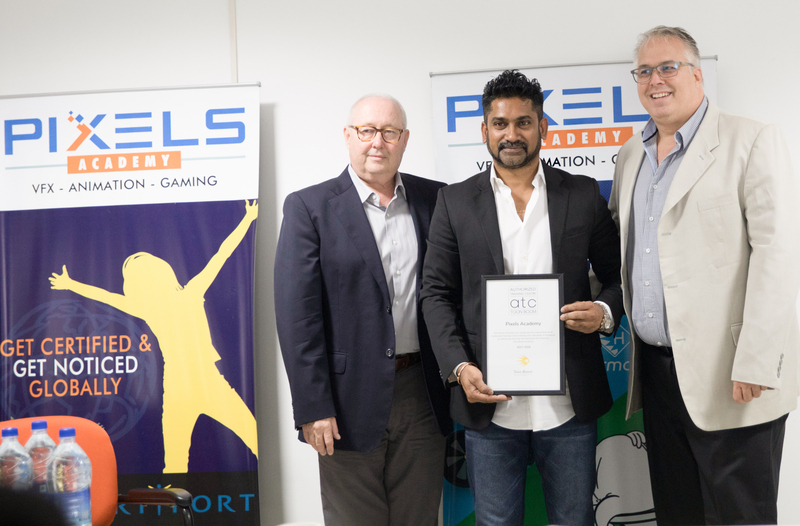 Hyderabad, TS, Nov 18, 2017: Today Toon Boom’s officials, Mr. Bernard Boiteux, Director of Sales-Asia Pacific, and Hans M.Van der Sluys, India Representative along with S. Shawket Hussain Madani, Joint Director, ITE&C Department, Government of Telangana, visited Pixels Academy located at Madhapur to attend the Announcement Ceremony of Pixels Academy as the FIRST Authorized Training Center for providing Toon Boom education in India. Bringing StoryBoard & Harmony certified training to in INDIA. This entry was posted in animation, gaming, News, training, VFX and tagged animationtraining, firstindiaATC, hyderabad toon boom, india Toon Boom, Pixels Academy, storyboard training, toonboom, TOONBOOMTRAINING on October 8, 2017 by admin. 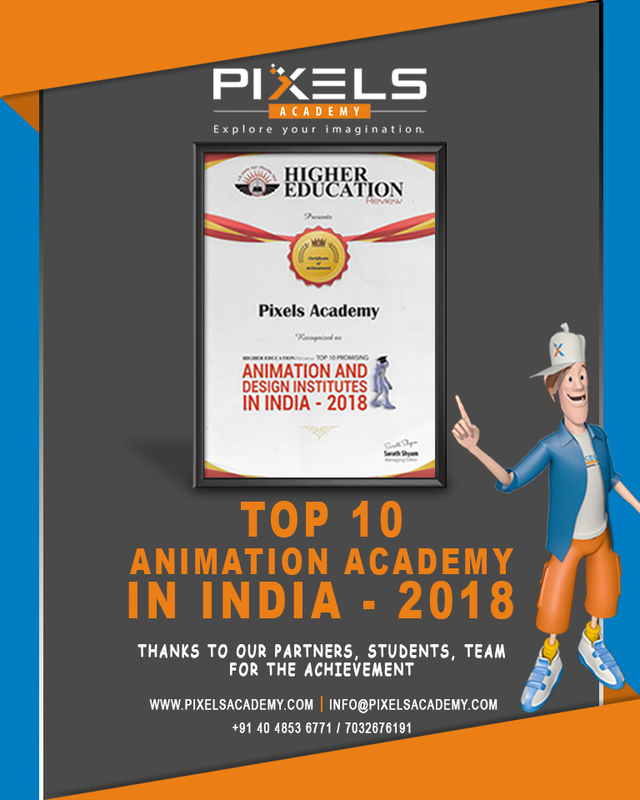 A world class animation training academy bringing Indian students knowledge directly from Indian and internationally renowned industry professionals. Pixels Academy brings animators and students closer to Hollywood than ever before. This entry was posted in animation, gaming, News, training, VFX on December 4, 2016 by admin.